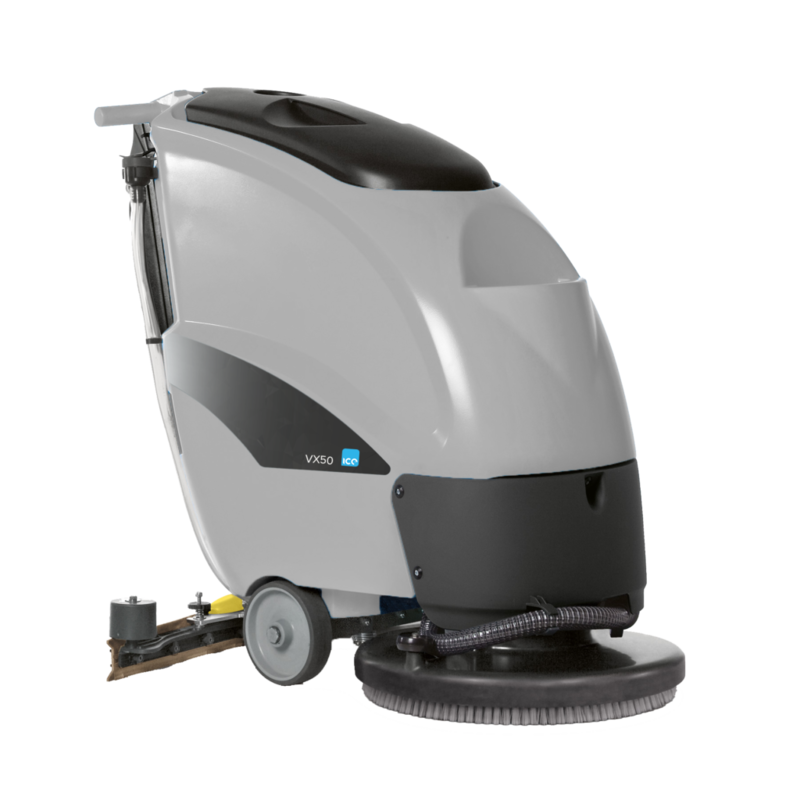 The VX50 is perfect for cleaning floor areas ranging from 1,000 to 1,600 m2. The VX50 is perfect for cleaning floor areas ranging from 1,000 to 1,600 m2. It is recommended for maintenance cleaning, as well as for any environment where difficult dirt residue may be present. The VX50 is extremely simple to operate and maintain. It has a run time of up to 3 hours.